Meals at Supples Landing are served in our main dining room. 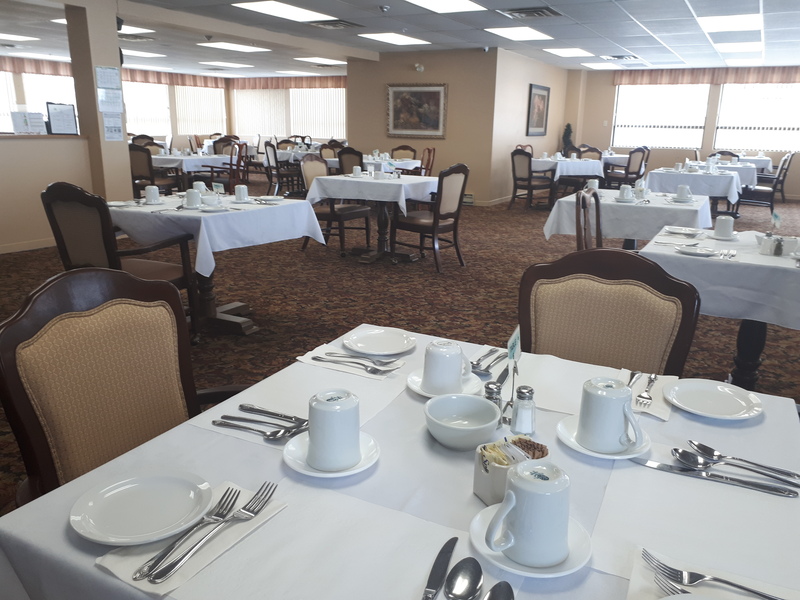 With an expansive view of the Ottawa River, our guests thoroughly enjoy their dining experience. Adjacent to this area is our beautifully furnished Riverview Lounge – the perfect place to relax with friends or entertain visitors. The outdoor pathway is designed to embrace nature, and take advantage of the view. “After all, our back yard is the majestic Ottawa River. “The pathway is equipped with benches to pause, and take it all in” Our patio is a breezy, sunny area, that lends well to lazy afternoons or long meaningful conversations over tea. Our beauty and barber shop is located on the first floor of the facility. All suites are equipped with a kitchenette, and colour coordinated wall-to-wall carpet. Supples Landing encourages residents to personalize their suite by surrounding themselves with their own furniture and personal family treasures. Weekly housekeeping included, as well as a safe, well-lit, modern complimentary resident laundry room. Our property, including the grounds, are kept manicured by our professional maintenance department. The supervisor is an approachable person who cares about the well being of the residents. 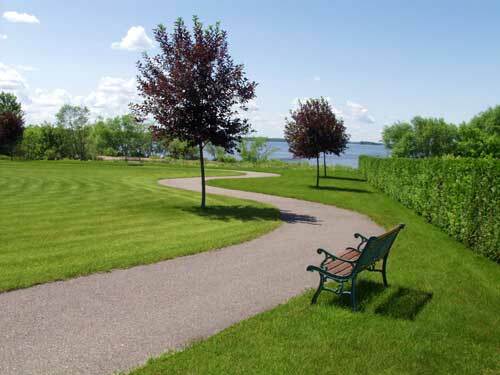 Sit and relax or take a stroll along the walkways overlooking the beautiful Ottawa River. Our Executive Director, Linda Renaud has been at Supples landing since the year 2000 bringing over 40 years of Nursing experience to this position. Linda has been a Registered Nurse for over 40 years with specialized knowledge in Gerontology. Linda has achieved in past a Gerontological Nursing Certificate with the Canadian Nurses association. Linda continues to participate in ongoing education over her years of Nursing. Prior to this position, Linda spent 25 years working in a long term care setting and nine years as the Director of Care at Supples Landing. In her spare time she enjoys spending time with here husband, her children and grand children. Graduating from the Algonquin College Pembroke campus in 2004, Monica gained practical experience at the Pembroke Regional Hospital & Paramed Home Healthcare. She found her passion in Retirement and continues to excel in providing the elderly with exceptional care, striving to maintain their dignity, respect and encourages each individual along with family members, to participate in all aspects of their care needs. She grew up in the big city of Toronto but found her home in Petawawa. She is a mother of 2 young boys that keep her very busy. She enjoys swimming, running and reading, along with many winter sports. Andre has been involved with the culinary world since the age of fourteen. He graduated from Algonquin College in Hotel Restaurant management and later acquired his Journey Person Class Red Seal (cook) Certification. Andre has worked in hotels and restaurants all over Ottawa and its beautiful surrounding accumulating 36 years in the food industry. Before coming to Supples Landing, Andre taught and Coordinated the culinary skills program for 19 years at Algonquin College. Andre Joined our team in 2016. In his spare time, Andre enjoys the outdoors and spending time with his wife and 4 children. Veronica is a self-motivated, and dedicated employee who works hard to achieve perfection. She has over 25 years’ experience in a wide variety of accounting and customer service fields. Where she was able to acquire an extensive Business Administration background. Veronica enjoys the everyday interaction with other staff and residents, and thrives to make the work environment enjoyable. Her ability to communicate with the residents adds to her enjoyment of work she does here at Supples landing.